The associative property of addition. The Associative Property of Addition: When three or more numbers are added, the sum is the same, regardless of the order of addition. For example (2 + 3) + 1 = 2 + (3 + 1). In other words: it doesn't matter how you add them, the totals are always same. and six equals six, (6 = 6) everyday of the week and twice on Sundays. This is so obvious with blocks kids may look at you funny when you explain it to them, math concepts are visually obvious when presented with manipulatives. Now just for fun (and this has very little to do with The Associative Property of Addition unless you set it up correctly) here is a problem that most little kids will find VERY difficult unless they have the blocks and some guidance from you. Bill Ted and Mary have some sugary sweets that will make you hyper active, rot your teeth out and cause adult onset diabetes if you eat too many of them. Together Bill and Ted have Five. All together Bill, Ted and Mary have six. Together Ted and Mary have four. All together Bill, Ted and Mary still have six. How many sickly sugary sweets that will make you hyper active, rot your teeth out and cause adult onset diabetes if you eat too many of them do each of them have? This is my impersonation of a math text book, because The Associative Property of Addition is a super easy concept but the above problem disguises it as something hard. Next time tell that story using apples...or maybe oranges. Go from The Associative Property of Addition back home. This quote almost makes me cry. We have squandered our birthright and squandered the gifts our founding fathers gave us that were paid for with blood...but I digress. Only if the mind is tiny. There are four properties of addition: they are the commutative, associative, additive identity and distributive properties. Associative Property: When three or more numbers are added, the sum is the same regardless of the order of addition. Additive Identity Property: The sum of any number and zero is the original number. For example 1 + 0 = 1. Algebraic: x + 0 = x (Crucially important concept especially when you understand 0 = x - x.) Hero zero! Helps solve equalities. I have a FaceBook page too. Lots of fun info and articles and conversations there. Join us. 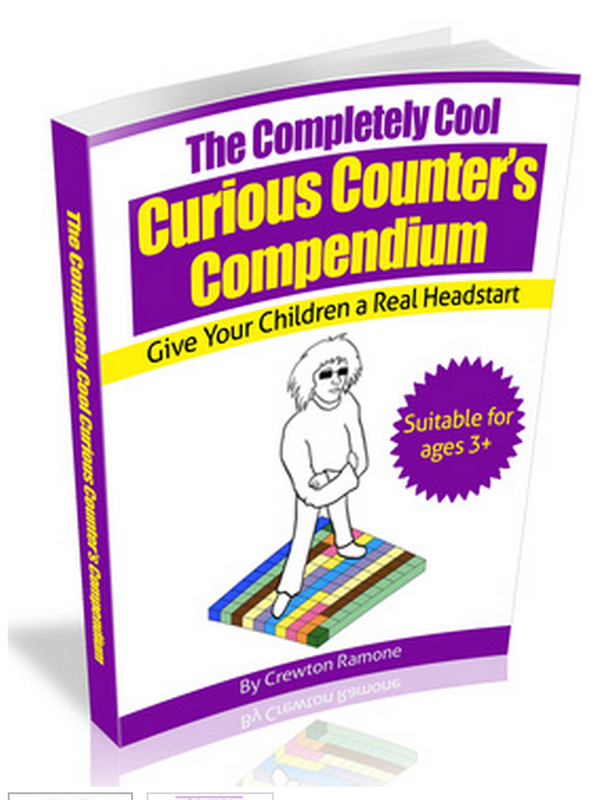 Get this book if you have children 7 and under...look inside here. You can get it without a password for just $2.99 You can also click the MY BOOK tab to the left up there.